Open projects is our first step and initiative in Learning Exchange Programme. These are those problems which don’t require immediate attention by the startup or come on low priority in task list, BUT are immensely important for a startup. Together it is an opportunity for both to share their knowledge and learn from each other. Before you sign up for this, we strongly recommend you to read this blogpost about our Learning Exchange Programme and Open projects. Reading this will not only help you understand the idea and philosophy behind this initiative but would also help you get involved in to this in much integral manner. 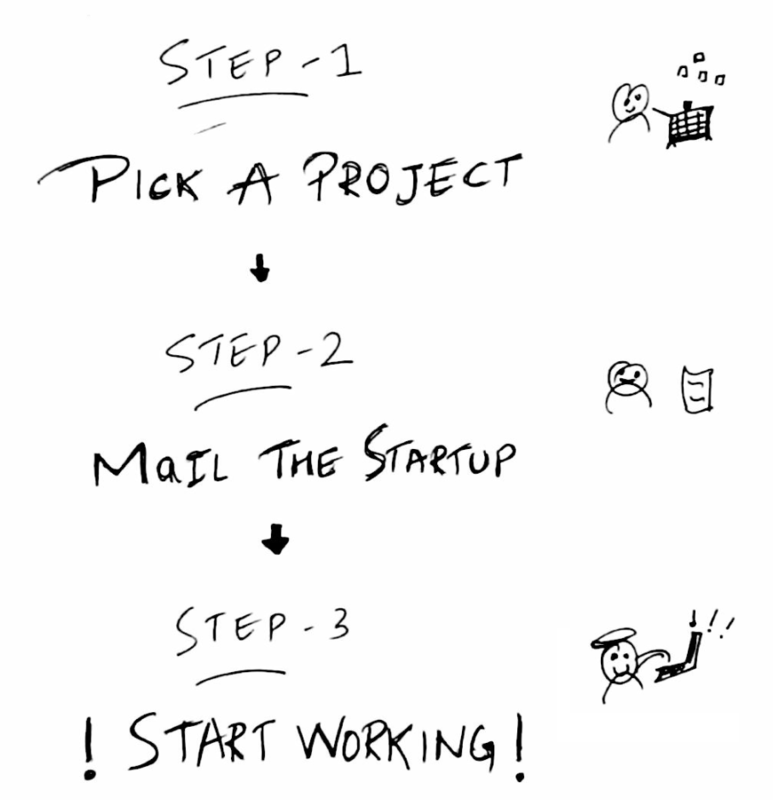 Below is a little graphic that explains how simple the entire process of getting involved is. Pick intuitively a project that you feel you can connect with hence solve it and that offers good learning too. PS: Possibilities are also that multiple people apply for same project, in that case they’ll be joined together as a team. One person can apply into as many projects they see fit into their capacity of execution, advised is to start with one. 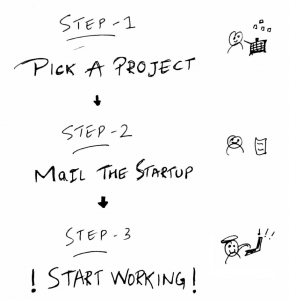 At the same time the right of the assigning of the project to an individual is solely upto the Startup. If you do not wish to take up any project, but want to meet with our startup folks, drop us a line at neo@morpheusgang.com. If you have landed on this page accidentally and is not much of your concern, we’d appreciate if you can forward it to anyone who you think could be concerned. Watchy provides live video streaming for Conferences, Product launches, Fashion shows, college festivals, Marriage. Watchy Technology Pvt Ltd. specialises in live streaming technology. 3. Project Title: Record and upload 10 seconds video clip from webpage. 1. Project Title: Write a text input widget that will highlight non-ascii character in its input. Startup: Bhukkad / MIDP Hospitality Pvt. Ltd.